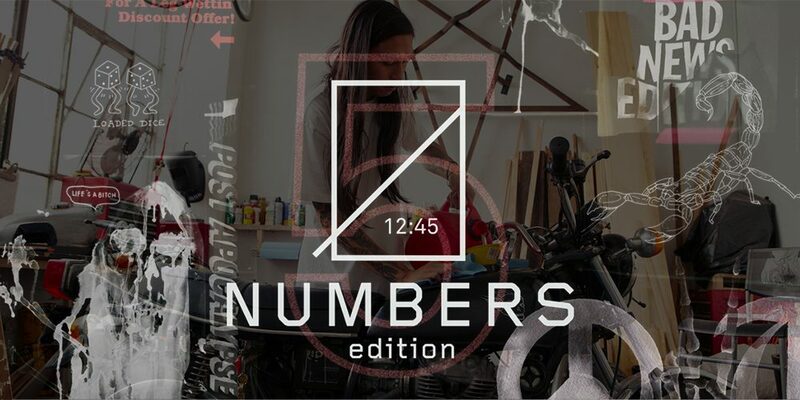 Numbers continues its tradition of drops based on artist collaborations with Edition 5. For its latest offering, Eric Koston and Guy Mariano have tapped Othelo Gervacio to lend his skills to their brand’s upcoming release. Gervacio is from Virginia Beach, and currently resides in New York. His roots lie in graffiti and skate culture, but his work has ascended into the world of fine art. He is being touted by some as the next big thing to emerge from the New York scene. Have a look at the preview of Edition 5 below.